I wonder if the Big Bad Wolf, instead of saying, “I’ll Huff and I’ll Puff …” had said, “I’ll make you a Cuff…” the 3 Little Pigs would have come squealing out of their houses. 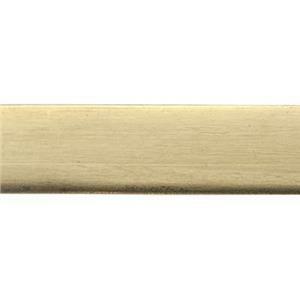 The BR5266 – ¼ by 6 inch 18 gauge Bright Brass Cuff Blank. Use it for custom metal stamping, forming or cold connecting. Show us your jewelry making ideas when you tag #HalsteadMakers on social media. Perfect for enticing your jewelry customers into a Happily Ever After ending.